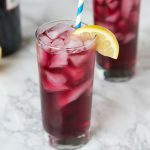 Black Cherry Limeade – a fun and easy cocktail recipe! 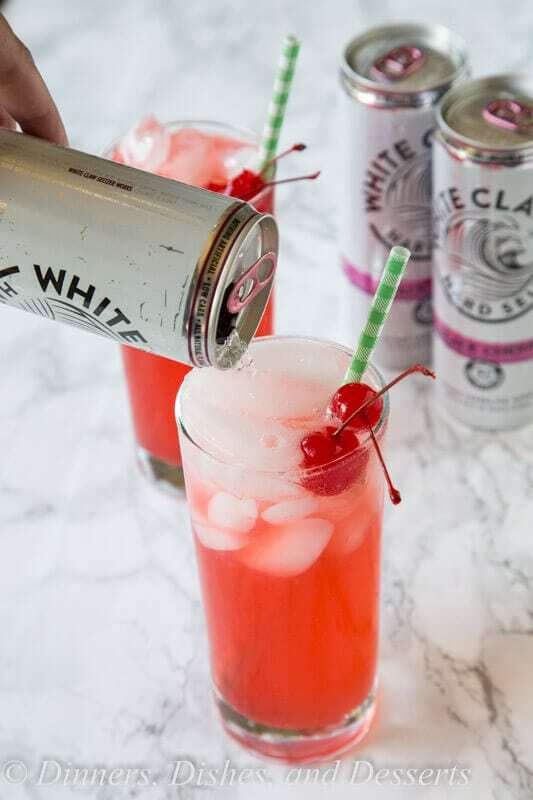 Add a little sweetness to your limeade with Black Cherry Hard Seltzer. I can not believe how fast the summer is going. We just got back from a trip to the West coast, so the last couple of days have been playing catch up, and getting life back on track. How was your 4th of July? We spend it with friends we haven’t seen in probably 8 years. It was 3 families who used to live near each other in Minnesota; 2 of them have moved to Seattle and we moved to Colorado. It was so much fun to get together, it was like no time had passed. Our kids played and got along great. It was sad to have to leave them. 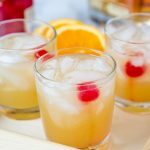 When you are celebrating with friends, fun cocktails are always on the menu. At least at my house. And this Black Cherry Limeade was a fun, summery, drink that all the grown ups enjoyed. 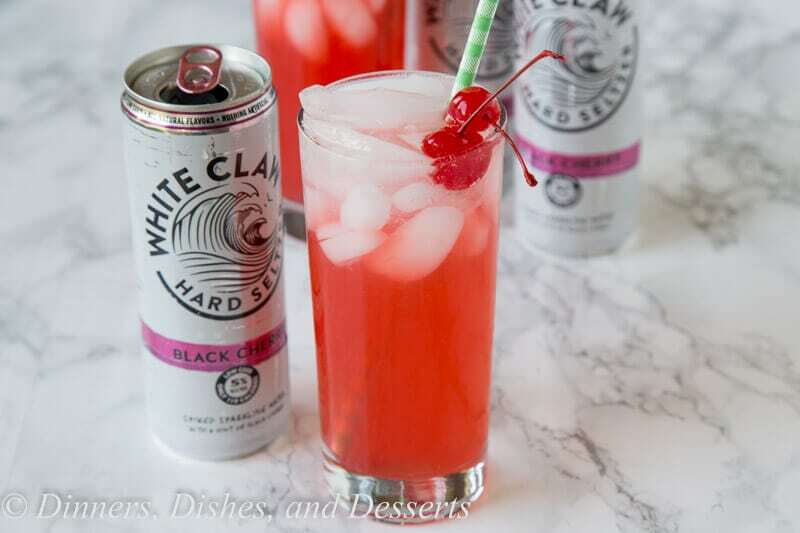 Have you seen White Claw Hard Seltzer in your store? It is an all-natural, low carb, gluten-free sparkling seltzer water. 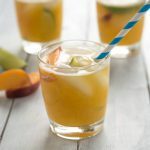 It contains 5% alcohol with just a hint of fruity flavor. With only 110 calories per serving no artificial ingredients, high fructose corn syrup, or crystalline fructose, you don’t have to have any guilt enjoying a can. 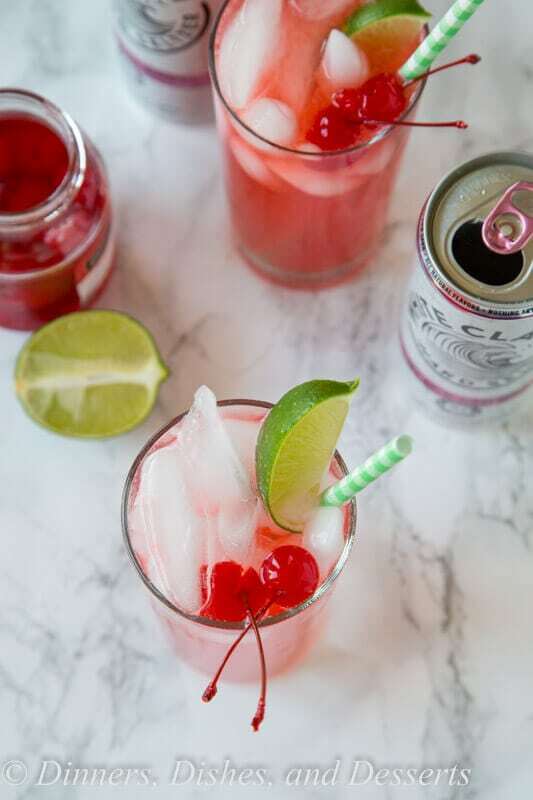 It could not be easier to make this black cherry limeade. 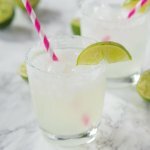 I just used store bought limeade, but you can easily make your own if you want to. 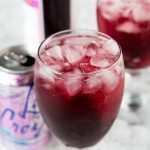 Then just add in the black cherry hard seltzer (they also have lime, and ruby grape fruit), and just a tiny bit of cherry juice to make it such a pretty color and add just a little more flavor (this is completely optional). Serve over ice and you are done! 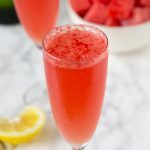 Fruity, slightly sweet, tart, and fizzy – my kind of cocktail! So next time you are throwing a party, headed to a get together, hanging out by the water or just want something different check out the new hard seltzers. Endless possibilities….what would you mix up? 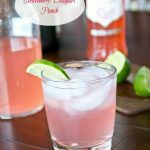 Black Cherry Limeade - a fun and easy cocktail recipe! 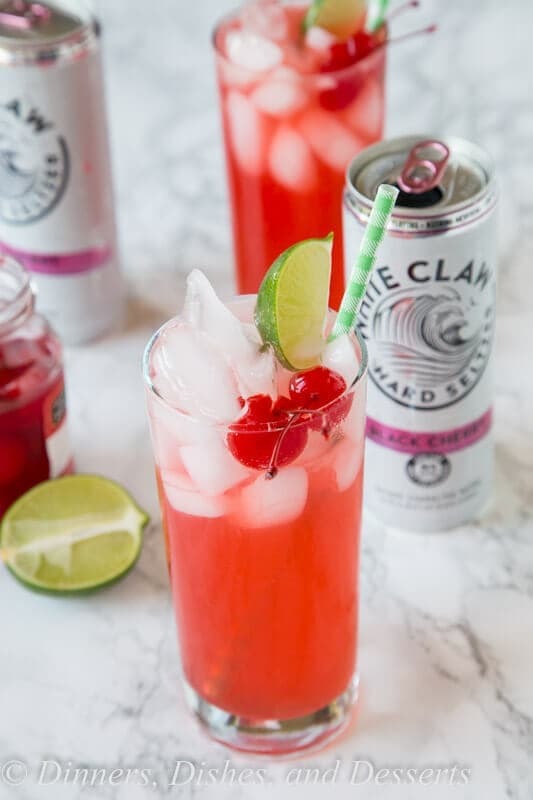 Add a little sweetness to your limeade with Black Cherry Hard Seltzer. Fill 2 tall glasses with ice. 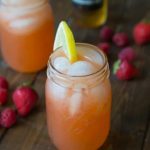 Fill each glass with 6 oz of limeade, and 1/2 a can of hard seltzer. 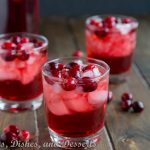 Add 1 oz of cherry juice if desired (that is what give is the red color). 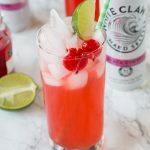 Serve with cherries and lime if desired. **This post was sponsored by White Claw Hard Seltzer. I was compensated for my time to create this recipe. All thoughts and opinions are 100% my own. Thank you for supporting the brands that make Dinners, Dishes, and Desserts possible. I LOVE LOVE LOVE limeade! Love the black cherry flavor in this! This is now the third time I’ve seen hard seltzer in two days! I have to try this stuff! What an attractive drink! Love the color. 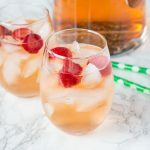 A fun drink to serve at a summer party or bbq or just a single serve for myself. Limeade is soooo good! 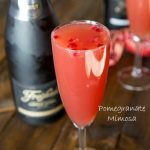 Wish I had a big glass of this right now! 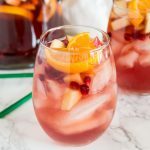 The summer is going too fast, but I would love to relax with one of these drinks right now. The look so refreshing!